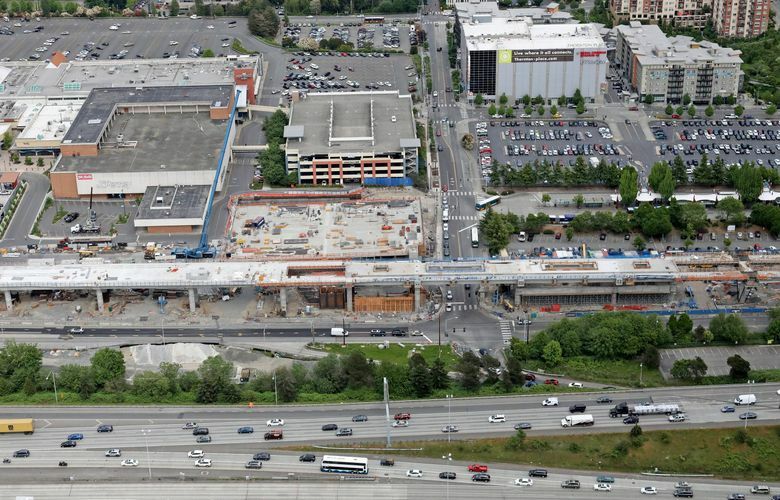 King County Metro decided to restart the months-long process of finding a developer for the project, which will be built on what are now county-owned parking lots and a bus station. 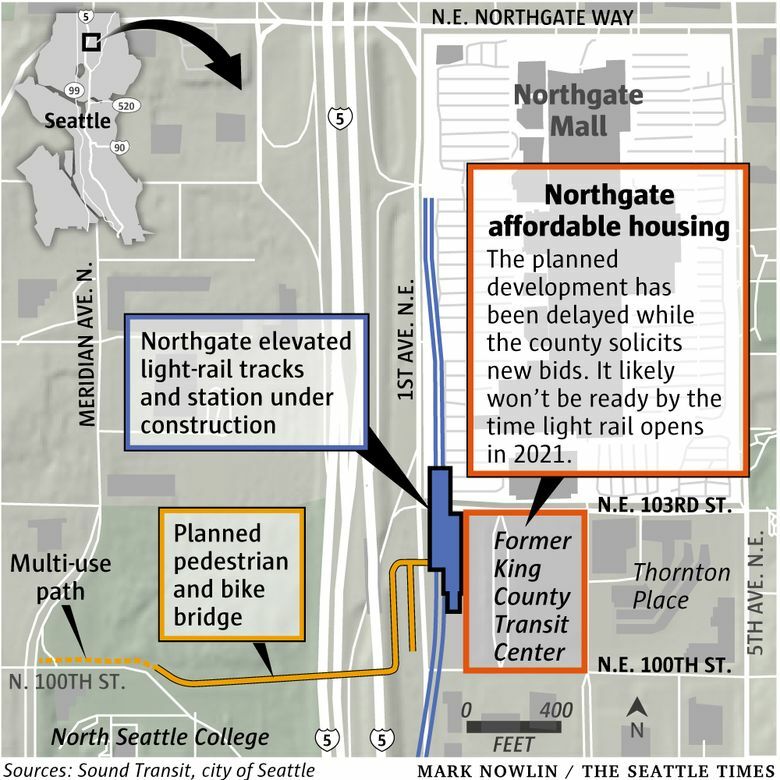 It is now unlikely the housing will be ready when light rail opens to Northgate in 2021. A long-planned development that would build 200 units of affordable housing right next to the future Northgate light-rail station has been delayed and almost certainly will not be ready by the time the rail line opens in 2021. King County Metro last week decided to restart the months-long process of finding a developer for the project, which will be built on what are now county-owned park-and-ride lots and a bus station. The county hopes to take advantage of a new state law that lets it give away publicly owned land at no cost if the property is used to build affordable housing. Developers get a public subsidy to build housing available to people making less than the median income. And the housing is right next a massive public-transit investment, which, in theory, gives new residents an escape from clogged highways. The surrounding neighborhood would also be rezoned, and the Northgate Mall has plans to add housing and office space above the retail shopping that’s been there for decades. The development was announced with much fanfare last year, along with a $20 million commitment of public money — half from King County and half from Seattle. “When we build affordable housing next to transit centers like this one, we make really meaningful progress on Seattle’s affordability crisis,” then-Seattle Mayor Tim Burgess said. Construction of the first of two phases of the project was supposed to begin in early 2019 and be complete by the time light rail opens to Northgate in 2021. The project will now be delayed for an unknown amount of time, while King County restarts the development process. The county put out a request for bids last November, and received two. They’d been reviewing those bids since early this year. In the meantime, the state Legislature passed a new law, aimed at making it easier and cheaper to build affordable housing. Previously, if government bodies were going to sell publicly owned land they had to sell it at market rate — to get back a reasonable return for taxpayers. The new law lets governments sell public land at steep discounts, or even give the land away for free, if the property is going to be used for affordable housing. Discussion of the new legislation began in January, the law was signed in March and it took effect last week. Just days after the law took effect, the county wrote to the bidding developers to tell them it was canceling the request for bids and was starting over with a new process. If potential developers had known that they could possibly receive the land for free (or at a steep discount), there may have been more bidders, the county wrote. Seattle City Councilmember Debora Juarez, who represents the Northgate area, criticized the county for canceling the bid request with no firm timeline on when a new one will be issued. Juarez requested that the county restart the bidding process as soon as possible and commit to beginning construction in 2019.